New NFL stadium, event center and modernized Los Angeles Convention Center raise the bar forsustainable entertainment and business development in a major urban area. 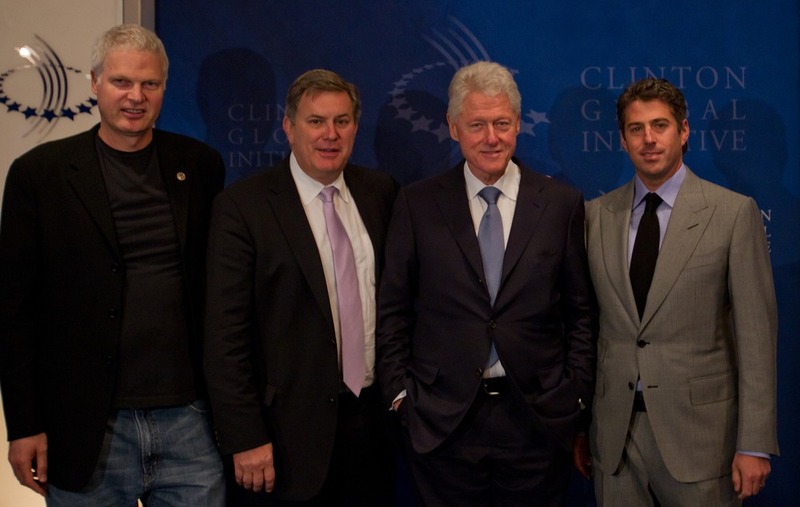 NEW YORK — Sept. 20, 2011 —At the Clinton Global Initiative (CGI) Annual Meeting today, leading sports and entertainment presenters AEG were recognized by former President Bill Clinton for their Commitment to Action to invest $1 billion to build Farmers Field, a 72,000-seat, downtown Los Angeles football stadium and event center. As part of AEG’s commitment, the Los Angeles-based organization is working with partners, including the U.S. Green Building Council and the Natural Resources Defense Council (NRDC), to ensure that Farmers Field will be the most environmentally sustainable stadium in the world and the first stadium in the NFL to be LEED certified. Through this Commitment to Action, AEG pledges to work closely with CGI to monitor environmental results and report back on progress. This comes on the heels of a bill passed by an overwhelming 80 percent majority of the California State Senate and Assembly that will require AEG to ensure that Farmers Field is 100 percent carbon neutral for all emissions generated from private automobile trips to and from the stadium and for Farmers Field to have the best ratio of fans to automobiles in all of the NFL. The stadium will prioritize on-site and local projects before purchasing carbon offsets to support local economic development while ensuring positive environmental and social impacts. In addition, as part of their Commitment to Action, AEG will go beyond legal requirements to achieve carbon neutrality for all emissions from energy consumption and mechanical operations of the stadium. Combining these commitments with additional measures, such as water conservation and robust waste and recycling programs, including the donation of durable goods and an in-house composting program, will create the nation’s most comprehensive environmental program for an NFL stadium. The Commitment to Action at CGI comes just weeks after the groundbreaking environmental components of the project helped garner the support of two of California’s most respected environmental groups — the NRDC and the California League of Conservation Voters. AEG’s plan is both environmental and economic. It is estimated that Farmers Field construction will create 23,000 jobs, including 12,000 full-time jobs during the construction process and 11,000 more permanent jobs at the convention center. The Los Angeles Convention Center modernization and expansion and Farmers Field project is projected to generate more than $600 million in total economic activity, raising more than $40 million in new city, county and state tax revenues. More information and a complete look at the 2010 AEG 1EARTH sustainability report are available at http://www.aegworldwide.com/08_corporate/aeg1earth-report.html.